We’re on the verge of a national reckoning about sexual harassment. It happens when a high powered person can make or break an underling’s career. A situation with a high probability for harassment is when powerful individuals can decide your future. It happens when a powerful person holds the key to your future but wants something in return. We see examples happen when a movie producer has the power to cast an unknown actress into a starring role; when a venture capitalist can provide funding to a woman entrepreneur; when a professor can write a letter of recommendation for a student. The MeToo movement was started 10 years ago by Tarana Burke. She started it as a grassroots movement to provide empowerment through empathy to survivors of sexual abuse, assault, exploitation, and harassment in underprivileged communities. 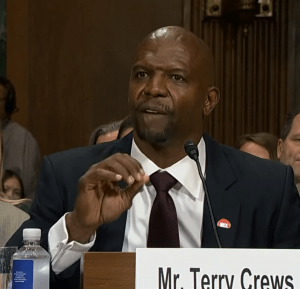 Many people do not know this but Terry Crews was sexually harassed. Terry was groped at a Los Angeles party in 2016 by a movie agent. Terry and his wife talk about the incident on Dr. Phil, which occurred at party hosted by Adam Sandler. Terry’s full video testimony of Terry in front of the Senate Judiciary Committee is available here on C-SPAN. He decided to come forward to give courage to men who have also been victimized but have been afraid to come forward. The conversation that’s been taking place at the national level is a conversation about the toxic masculinity that exists in our society. Companies, just like studios in Hollywood, set cultures from the top-down. When powerful people abuse their power it is because they don’t think the rules apply to them. A 2018 survey by NPR found that 80% of women at work have been sexually harassed. When Susan Fowler, an engineer at Uber repeatedly told HR about the harassment she experienced, she was told that no actions would be taken because the perpetrator was a top performer. The U.S. Forest Service, where women have been coming forward, describing a boy’s club atmosphere, rife with harassment and retaliation. 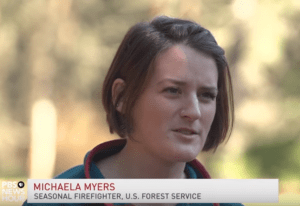 Michaela Myers, a female firefighter describes a culture of toxic masculinity and coverup at the U.S. Forest Service. Retaliation against women that came forward included the withholding or training, demotions, and denial of duties. 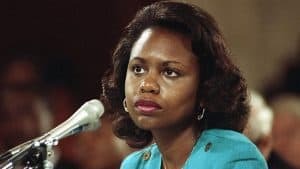 Some of us may remember Anita Hill’s speech in 1991 against Clarance Thomas’ inappropriate behavior. She had this to say about sexual harassment in a 2018 interview about how companies can be proactive in changing the culture for the better. Organizations must have a zero-tolerance policy. Human resources managers can train their staff/leaders to understand that they need to model appropriate behavior. This includes onsite, offsite and off hour firm gatherings. Be very conscious of retaliation. Be wary not to retaliate against the employee in any way, and ward that the employee’s manager doesn’t demote her, change her schedule, or change the amount of hours worked following the incident. If the allegations prove to be true, take decisive action. Don’t be afraid to fire somebody if they’ve acted badly. “If its not written it didn’t happen.” Document each meeting. Document the process. If you feel the situation is getting out of control in any way, talk to your CEO or boss about contacting an attorney. There are no innocent bystanders when it comes to sexual harassment in the workplace. Being silent and being complacent in the act is the same as participating in it. By being the bystander who intervenes, stops the situation, and calls attention to the aggressor and you can help create a more tolerant culture. To have Tammy Klein, CEO and founder of Klein HR Solutions speak at your organization, contact her here. She has spoken for organizations, non-profit groups, and private events on topics related to 1) Sexual Harassment in the workplace, 2) Attracting and Retaining Talent, 3) Career Coaching, and 4) HR Compliance – to name a few.